Camera Rangefinders are not that complicated. There are some mirrors in those things and the merging of two images which makes things a bit confusing, but explaining the basic principles of range finding aren’t difficult. Adjacent Side. This is the distance to the subject from the static laser. Opposite side. This is the distance between the lasers. Hypotenuse. This is the distance to the subject from the articulating laser. The distance stated on every lens barrel is the distance from the film plane to the subject, not the ‘rangefinder plane’ (or laser plane as I have it above). So I need to adjust for that. The shorter the distance between the lasers, the more ‘delicate’ the focus mechanism. In other words, a difference in +/- 0.01 degrees could throw off the intersection of the lasers and therefore the distance to the subject by centimeters. To give me more margin of error (and therefore more accuracy), I’ll need to increase the distance between the lasers. We’re using Mamiya Press lenses. To focus a 150mm lens from infinity to 3 feet requires around 20mm of travel. To do the same with a 50mm lens requires 5mm of travel. But the rangefinder mechanism doesn’t know that. Mamiya needed to have interchangeable lenses (as many rangefinders do). So to solve this problem they created a ‘focus flange’ (my name) which interfaces with the rangefinder. This has a specific travel that is universal across all lenses (approx one millimeter). I’m having a very difficult time measuring this travel with my calipers… Going to need to find another way. Basically I need to reverse engineer a lot of things that a bunch of Japanese guys did in the 60’s. This is gonna be fun :-). We live in a glorious time, really we do. After 3D printing my camera and becoming obsessed with building things in CAD, I’ve gained a new appreciation for the DIY community. There is a large DIY camera community and I’m glad to be a part of it. There are other areas of DIY that are also going very strongly. I am constantly impressed by the progress made in open source spectometry and I am particularly excited by this area. This in particular. But what can it do? Oh.. what can it do. It tells you the chemical composition of a liquid. I happen to believe that pollution and carcinogenic materials are within lots of common consumables but we just don’t have the proof. We don’t have proof because there’s a lack of a way to prove the pollution is there in an inexpensive way. But with open source spectoscopy, this becomes much cheaper and therefore more prolific. What was once a machine that cost tens of thousands now becomes a machine that costs maybe hundreds. And so, justice becomes cheaper. It can only be good for us :-). My neighbor blares a die hard Religious Conservative radio station on the regular. Last night, the host took callers. “But I can’t bring myself to vote for Trump even if I’m a Republican because I find him deplorable!” The same theme showed up time and again in random callers to the station. But the host remained resolute. “You may not like him, but it’s better than the alternative.” Who is surprised by the argument for least worst? Well, the two party system hands us its least worst every four years and every four years, it gets worse. Both parties sling mud and go home at night feeling good they did their job. But they need each other. Look past those gritted teeth of Trump and see his grin. He knows he needs his opponent to win. The sustainability of the Republican party is based on the existence of the Democratic one. Trump loves Hillary. Even financially supported her. Voting for Trump or Hillary means the two party system wins. I refuse to vote for either. I just can’t. I don’t claim to have an overwhelming sense of integrity. But the slice of me that has it, tells me no way. Oh, I’m still voting, just not for either party. And what I hear is, “don’t you want to vote for a winner?” Whether or not the party wins has no bearing on my vote. I don’t need my confirmation bias to be stoked. I want to rest easy, knowing I did my part. And yes, I don’t agree with everything either independent does or says. But I can’t support the two party system any longer. If an independent wins, then people will realize that this turd sandwich upon which we munch is just that, and we’ll get real candidates in the future, based on their merits and not on their ability to woo a party. This is the only way to turn a system of least worst into one that produces the best, that I can think of. So, I 3D printed my first 6×12 Camera. And it worked really well. It all started when I realized that my Mamiya Press 75mm would cover my 6×12 Horseman back. Why couldn’t I put my Mamiya Press lenses on my 6×12 back and have glorious panoramic shots? The Mamiya Press is probably at least 6 pounds. I want something light! I had that premonition about a year ago. And here we are. Below is my first fully 3D Printed camera. It’s taken a ton of elbow grease to get here (that includes time and money). So I’d like to cover some of the key elements in my learnings. It’s a dumb box that’s supposed to keep out light. SLS 3D printing has problems. That’s the purpose of a camera. Make it light tight so that the lens can project it’s image onto the film/digital sensor. 3D printing is great! Extrusion ABS printing is great! But if you know anything about 3D printing, you’ll find that laser sintering is the preferred method (higher resolution and other advantages). But there is a distinct disadvantage. The white powder that it’s based on is porous. Porosity means that light can get in. Even though the outside is dyed black, light still gets in. At first, I thought light would only get in from the interfaces between the lens and the body and the back and the body. Unfortunately that’s not the case. Sunlight just creeps through the plastic. Gaffers tape is your friend here. Does CAD need to cost so much? There are lots of 3D CAD software suites out there. Some are free and great. I was already familiar with Blender 3D. It’s a python-based open-source software that is comprehensive as all get out when it comes to 3D renderings. But that was actually an issue. I didn’t need animation. I needed something simple to make static objects. Step in – 123D Design. It’s free and not without limitations. I sometimes wish I could have Rhino 3D but then, I’m just not there yet. Think about Flocking. And think about it again. Flocking is majorly important. Without it, you lose contrast in the image. It’s cheap so why not? But then, you need to think about how you’re going to add that to final 3D print. Rounded corners inside are annoying. So now I make them square. Figuring out the flangeback distance to the film plane takes time. Unless you have an awesome resource like this for large format lenses, you’re not going to be able to determine the distance between the lens and the film plane. Which is key because you won’t focus without it. A micrometer helped and got me started. But I had to go through a couple of iterations of the body to get it just right. Testing is also tough. More details here. Wide Angle lenses are more forgiving. A wider depth of field means that my tolerances needn’t be so tight. The longer the lens, the shallower the depth of field, the tighter the tolerance. That’s not to say that the tolerances shouldn’t be tight, however. Building interfaces is the most tedious. Interfacing the lens to the body and interfacing the 6×12 back to the body is the hardest thing to wrap your head around. You have to combat light leaks so tolerances should be tight. For the lenses, I had to design some method of interchangeability and attachment that was solid because I was going to be hiking miles and miles with this puppy. I eventually decided I could simply use some sheet metal screws to attach some “lens holders”. It is solid 🙂 but it took time to develop. I’ve had a nice response from the community. Thanks for the support and I’ve got some other items up my sleeve. While I’ve been on a sabbatical from posting, it doesn’t mean I’ve been on sabbatical from photography. Far from it. I’ve been shooting and working really hard on my own camera. Yep. My own camera, that I’ve 3D printed. I won’t go through all the details here. If you’d like to learn more about it, then you can read this thread on RangeFinderForum where I describe it. Suffice it to say, it’s lightweight and she shoots 6×12. I’ve simplified the film camera buying process. Here’s the decision tree without any branches. Now, I could have added other criteria – such as automatic metering, auto-wind, interchangeable lenses, etc. I’ve decided to stick to these for simplicity (mainly everything that has autofocus will have the other auto-modes). Also, for versatility, I try and give more weight to those bodies with interchangeable lenses. All combined, there’s a total of 8 potential answers to this (2x2x2). And here are my 8 answers. Contax G2. Honorable mention – Contax G1. This is the first category but also perhaps one with the least number of contenders (when you look for bodies with interchangeable lenses). The 35mm rangefinder world is dominated by Leica. But they never made an auto-focus rangefinder. Keep in mind, that an auto-focus rangefinder is a bit of an oxymoron. This being due to the fact that the rangefinder is a means for a human to determine the range of something (putting them squarely in the manual focus zone). There are many auto-focus fixed lens “rangefinders”. Konica Hexar AF, Contax T2 etc. While these are great, I prefer the interchangeable bodies and incredible lenses of the Contax G series. Leica M6. 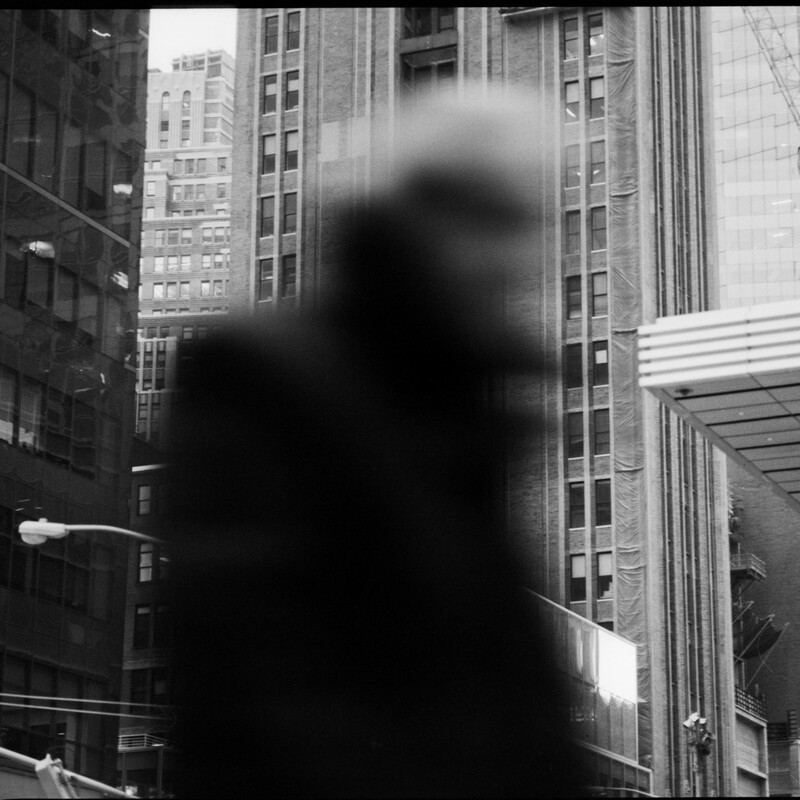 Honorable mention – Leica M3. As I mentioned previously, Leica simply dominates this category and has for a long time. There are simply no newly manufactured contenders (Voigtlander cancelled it’s production of the Bessa line in 2015). Leica’s can get expensive (especially that gla$$) but there’s a reason people grow old with them. Nikon F6. Honorable mention – Nikon F5. An interesting category, one that includes the pinnacle of 35mm technology reached in the early 2000’s. You could go with Canon, Nikon, Contax or any other major brand name with all the gizmos. The F6 is supposed to be the cat’s meow of high performance SLRs. Nikon F3. Honorable Mention – Nikon F2. This is probably the fattest of the categories. The options for which manufacturer to go with could extend for days. Olympus, Pentax, Nikon, Canon, Contax, Minox, Fuji… Of course, when making the decision, you’re also making a decision on what glass you’ll need. I love my F3. Italian designed. It feels right at home in my hand and the glass is great without breaking the bank. 5. Medium Format. Rangefinder. Autofocus. Fuji GA645zi. Honorable mention – Fuji GA645. Going back to a category where there are few contenders. I believe that Fuji has cornered the market here. I know of no other autofocus medium format rangefinders. Having a monopoly usually leaves the consumer desiring more. But not with these Fujis. 6. Medium Format. Rangefinder. Manual Focus. Mamiya 7. Honorable mention – Mamiya 6. There are some other folks in this race. If I were to add another criteria on, it might be asking “What size of negative do you need?”. For which there are 4 answers – 645, 6×6, 6×7 and 6×9. I shoot a lot with my Fuji GL 690 for that massive negative. But this is overkill for most. The 6×7 is a great frame size and aspect ratio. The Mamiya 7 is hard to beat. 7. Medium Format. SLR. Autofocus. Contax 645. Honorable mention – Rollei 6008 AF. Autofocus came pretty late in the game to the Medium Format crew. And these puppies are pricey. Amazing glass with amazing bodies equals all around amazement. High barriers to entry for the casual film shooter (and the cost of film should be taken into account as well). The Contax 645 is a solid fighter, great glass and fits the hand like a glove. If you’d like to go the 6×6 route, I recommend a bit of an odd duck – the Rollei 6008 AF. Look her up. Quite the camera. 8. Medium Format. SLR. Manual Focus. Hasselblad 500 CM. Honorable mention – Pentax 67. When it comes to Medium Format SLRs, Hasselblad has the market. With the Zeiss lenses and the Swedish design, you can’t deny those ol’ gray boxes are really lust-worthy. Makes sense. Why the Pentax? Well, the glass is really something. Also, I like the bodies (I really do). Why do you want to shoot film in the first place I guess is the main question. Digital sensors not up to snuff? That polaroid losing it’s hipster-touch? I don’t really understand why one would want to shoot a 35mm, slr autofocus. I just don’t. Digital sensors have come a long way (in other words – their flippin awesome now). Why do you just want to replace that digital sensor with film? There’s gotta be something else that tickles your toenails here. So I would go with manual focus there. SLR or rangefinder will both be great (the price win goes to the SLR). I think Medium Format is the way to go with film. It really offers you something you just can’t get with 35mm. Manual or Auto? This is a matter of money. And I think spending $4K on a film camera for fun is madness. So I’m gonna go with manual here. Sisqo had some good hits. Not sure why his nom de plume takes after the latter end of such a fine city. But everyone has their reasons. I was shipped to San Fran on a work assignment. I took my trusty Mamiya Press in tow. Unfortunately, I left a key piece to the system at home, rendering my schlepping of it… entirely moot. So I did what any discerning medium format shooter would do. I bought a disposable camera.